Over the past several months Glebar has been seeing its skills gap narrow thanks to the passionate approach to machining processes shown by a 26-year-old who is new to the profession, and right at home. 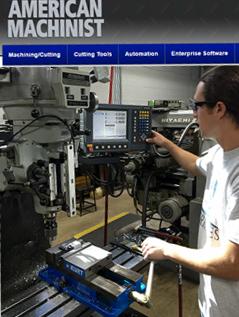 “Trade school opened my eyes to the rewards a career in the machine shop,” according to Machinist, Matt Behre at Glebar, who also credits the mentoring efforts of more experienced toolmakers and machinists.curricula, and updated certification standards have had some positive effects in filling the gap. But those approaches are based on addressing manufacturers’ needs, emphasizing employment opportunities and other practical advantages. Addressing the issue from the employees’ point of view may require more “passion.” Glebar Company is a manufacturer that is tuned to these types of issues: it is a precision manufacturer that designs and builds high-tech machinery for use by precision manufacturers. “A few weeks into working at Glebar I was asked to do a refurbishing job,” Matt Behre recalled recently..."